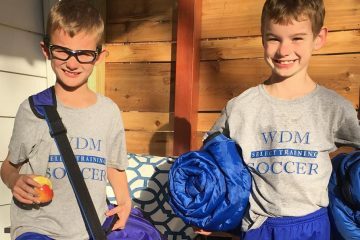 Healthy Homes East Bank partners recently returned from a trip to Washington D.C. 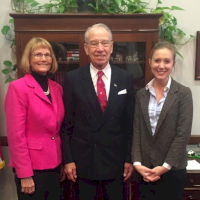 Visiting Nurse Services of Iowa VP of community health services, Cari Spear, and Claire Richmond, Healthy Homes East Bank project manager, had the opportunity to share Healthy Homes East Bank’s story with three members of Congress: Representative David Young, Senator Chuck Grassley, and Senator Joni Ernst. Cari and Claire sat down with each to explain the origin of this unique collaboration between hospitals, public health agencies, and housing providers, and how Iowans are benefitted by addressing the poor housing that leads to asthma in three Des Moines neighborhoods. Each member of congress is invited to attend the Polk County Housing Trust Fund’s Healthy Homes East Bank bus tour in April 2016. 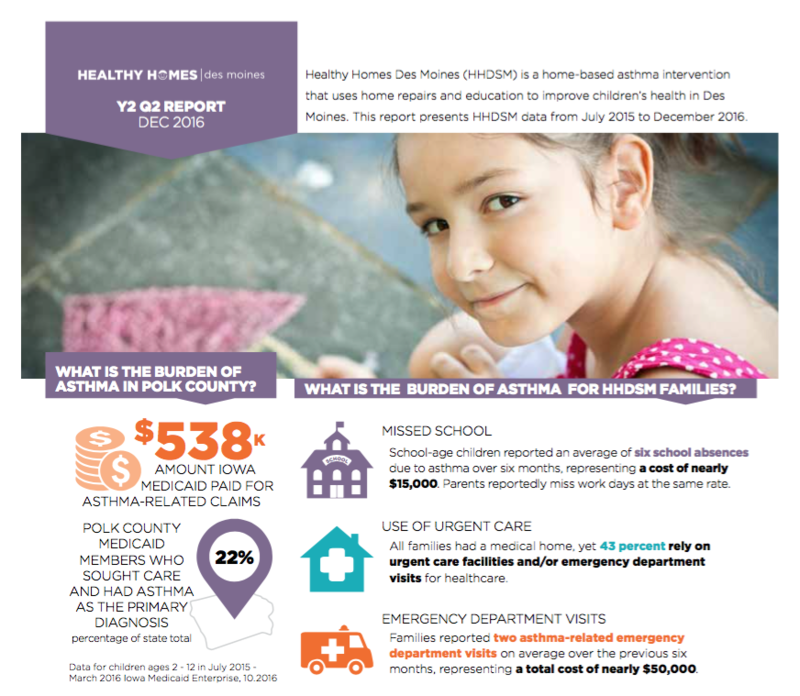 Working with referrals from healthcare providers, HHEB addresses sources of children’s asthma in three Des Moines neighborhoods through community health workers and healthy homes repair specialists. HHEB recently received its first batch of referrals from three local hospitals and clinics. Each home referred requires a unique plan, tailored to the challenges of each living environment, and solutions range from HEPA vacuums to total roof replacement. Once repairs are completed, a community health worker will follow up with families to track asthma and allergy symptoms using a new HHEB-branded tracking tool. Hospital partners will pull data annually to determine healthcare utilization of HHEB households and establish yearly data points to track improvements. Healthy Homes East Bank is a collaboration among Polk County Housing Trust Fund, Polk County Health Department, Mercy Medical Center, Broadlawns Medical Center, UnityPoint Health, the City of Des Moines, Viva East Bank, the Mid-Iowa Health Foundation, Visiting Nurse Services of Iowa, Polk County Public Works, and Des Moines Public Schools. Healthy Homes East Bank is funded in part by BUILD Health Challenge, which supports community collaborations using non-clinical approaches that give everyone a fair chance to be healthy. BUILD Health Challenge funders are Advisory Board Company, the de Beaumont Foundation, the Colorado Health Foundation, The Kresge Foundation, and the Robert Wood Johnson Foundation. The trip to D.C. was sponsored by BUILD Health Challenge funder the Robert Wood Johnson Foundation as part of its Connect program, which trains grantees on bringing their projects to Capitol Hill.